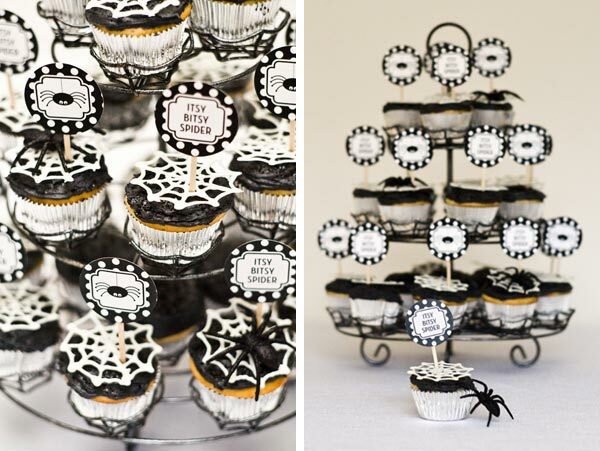 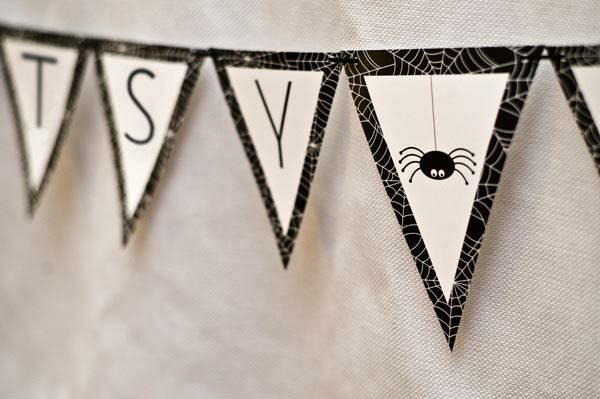 When I came across this "Itsy Bitsy Spider" Baby Shower from Bump Smitten, I knew it'd be a great feature for this week in celebration of Halloween! 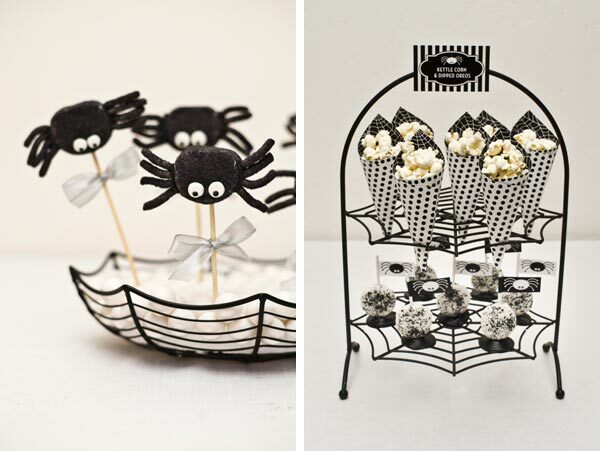 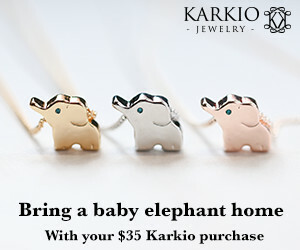 This event could easily be transformed into a children's birthday party or Halloween event for your little guests. 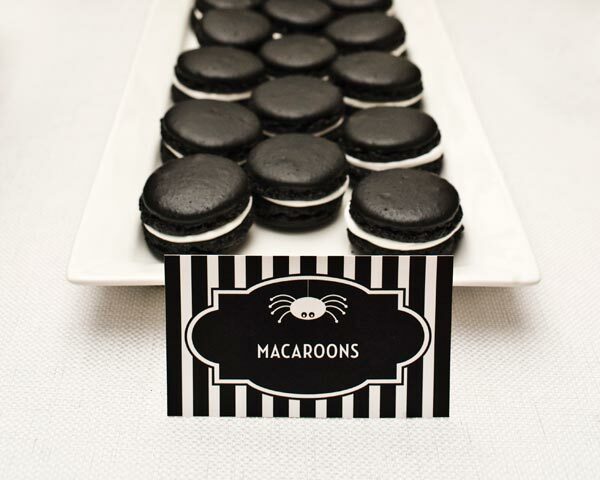 The black and white scheme allows you to add your own fun bursts of color to fit your needs and the dessert table features many adorable little details that are easy to recreate. 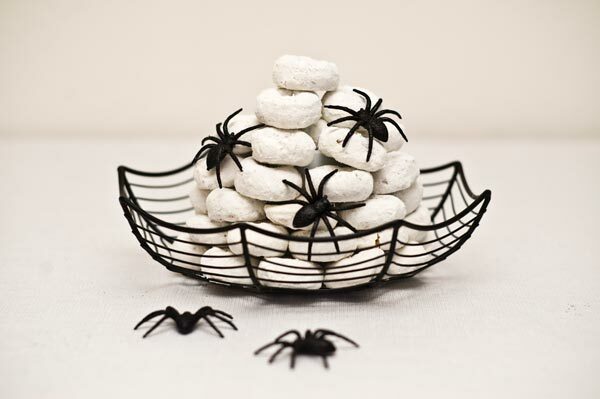 I especially love this tree centerpiece that was made from spray-painted branches placed into a black cauldron filled with gravel and mini marshmallows. 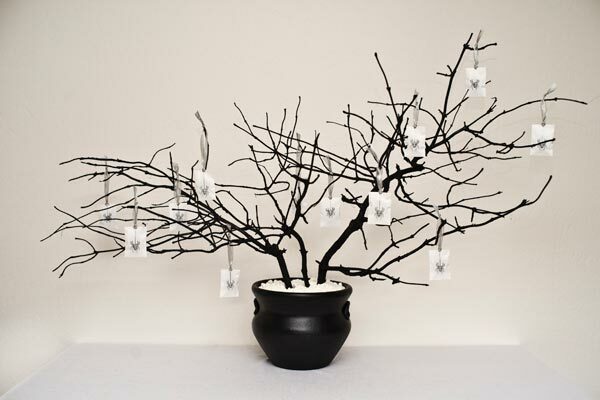 There are even peppermint patties hanging from the branches - SUPER cute! 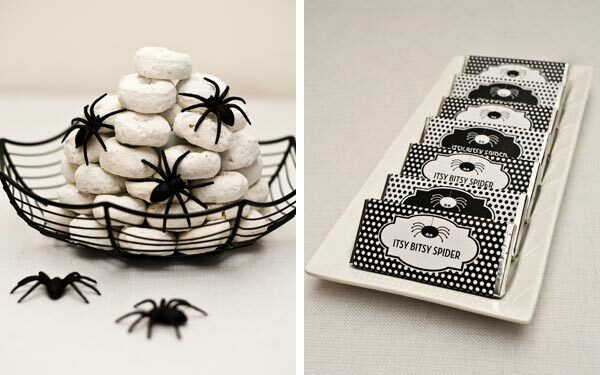 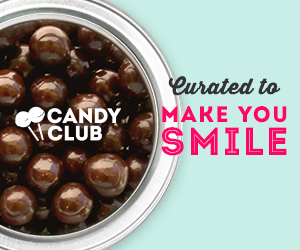 Your guests will surely LOVE all of these spook-tacular treats!